I was on Facebook earlier and it seemed the entire thing was arguing. 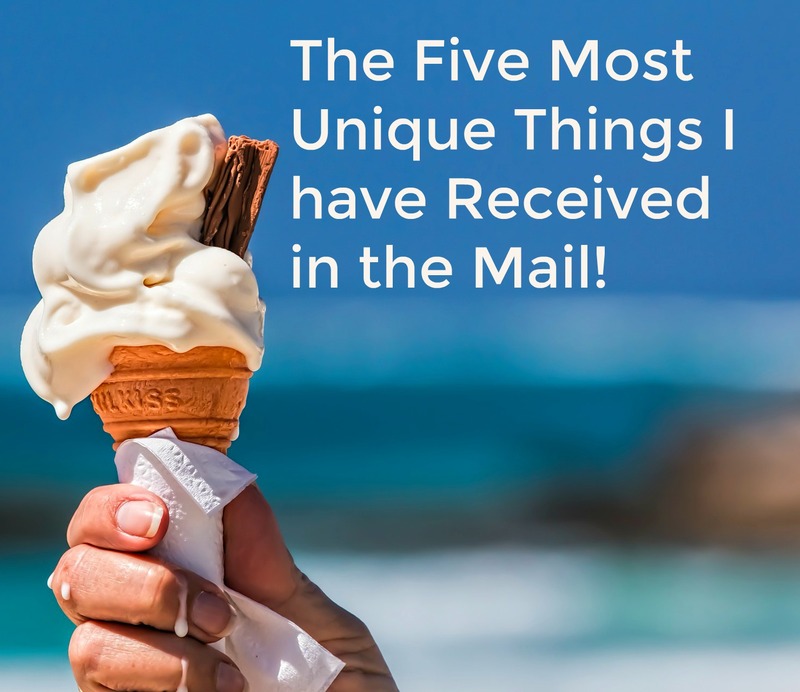 I wanted to do something fun, and I thought I would write about the five most unique things I have received through the mail (All but one have been received through the United States Postal Service.) Some of these were mailed before 2001 and the anthrax scares, so I don't know that all can be mailed now or not. Number 5. Two twenty ounce bottles of Pepsi. This was because I won them in a sweepstakes from Pepsi. They were a special flavor and it was a try it before you can buy it win where you could tell people when the flavor was released that you had already tried it. Still, to receive two bottles of Pepsi in the mail. . . and the post office always asks, "Is there anything liquid, fragile, perishable, or potentially hazardous". I would say 40 ounces of Pepsi qualified as liquid. I had won a blog giveaway. The grand prize was a $100 Southwest Airline gift card. First prize was a large bag of potato chips. Instead of receiving a coupon, I was mailed one of the largest sized bags of Lays potato chips. The shipping on it was over $10, and they came ready for topping your favorite casserole because they had been so damaged in shipment. Number 3. A package that was meant for me with no address on it. This sounds stranger than what it is -- there was a delivery confirmation barcode on it and from that the post office was able to determine where it was to go, but still very odd to receive an unaddressed package in the mail. A friend in college loved to go to the dollar store and buy inflatables such as a world globe or an inflatable baseball bat and then use them like a postcard. She and I were roommates one summer and she sent all of us inflatables that would arrive to our homes soon after we left our mission trip. One of our roommates received hers deflated with a note from the post office saying, "Things like this should not be sent through the mail". But everyone else received theirs fully inflated. This is the one that arrived via Fed Ex. I won an Edy's ice cream party some years back and instead of sending coupons for the ice cream, they shipped 12 containers of ice cream on dry ice via UPS. What is so funny is in the Amish Cozy Mystery Series by Tamar Myers, someone actually mails ice cream. Every time I read one of her books and see that, I have to laugh because, yes, I have received ice cream in the mail.